Heat a medium pot with a lid over medium heat. Lightly coat the bottom of the pot with oil. 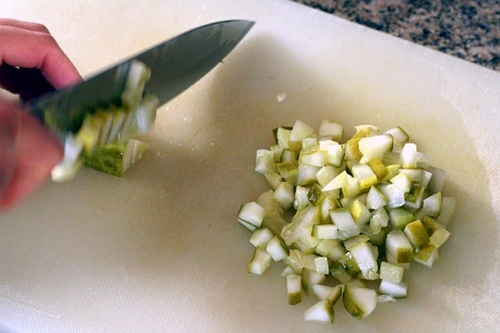 Add the onion and cook for 4-5 minutes, until softened. Add the garlic and cook until fragrant, around 30-60 seconds. Add the potatoes, broth or water, and pickle brine. Cover and bring to a boil. Reduce the heat to a simmer and cook until the potatoes are tender, 15-20 minutes. 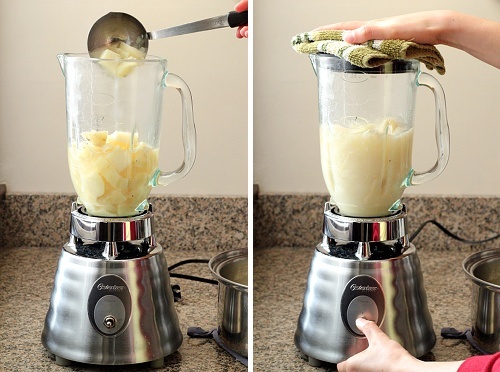 Pour the soup into a blender, or use an immersion blender to puree. If using a standing blender, remove the middle piece from the lid and cover with a towel to allow steam to escape while blending. Return the soup to the pot. Stir in the pickles and dill. Cook until heated through, about 5 minutes. Serve immediately, garnished with extra pickles or dill, if desired. Remember that the pickles and brine are pretty salty, so you don’t want to use a really salty broth. I actually used these vegan boullion cubes at half strength. When blending the soup, you want to stop when it is just pureed. The soup can end up kind of gummy if you blend it for too long. I’m also sharing this recipe in Slightly Indulgent Tuesday, Hearth and Soul Hop, Gluten-Free Wednesdays, Whole Food Wednesdays, Full Plate Thursdays, and Wellness Weekends. Oh, this soup sounds like just the thing for my salty cravings. Yum. And I’ll definitely stop by The Fountain on Locust when I’m visiting St. Louis in a couple of weeks! Wow – as a self professed pickle addict I am totally intrigued by this soup! I have never seen anything like it. I definitely will be trying this! It looks amazing. I was super excited when I first saw it. I don’t think I’d ever seen a recipe that involved pickles before. Awesome, another vote of confidence for The Fountain on Locust. You can make soup out of pickles? I kind of feel like this is a secret that’s been kept from me. I won’t take it personally. How fun Kalinda. I’ve never had a Dill Pickle soup before, but you’ve got me interested in trying! It looks beautiful and delicious. I’m hosting Whole Food Wednesdays at Beyond The Peel. The page will be going up tonight but this is the link if you’d like to come over and share. Thanks France, I’ll check it out. Super crunchy is the best. That’s one of the great parts about the soup, the pickles aren’t really cooked so they stay crunchy. Hi Kalinda, I saw this recipe over on France’s site, Beyond the Peel, and my heart is still racing :). 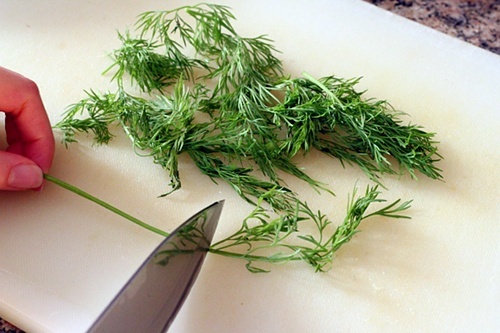 I absolutely love the fresh dill and pickles (how great is that! ), and I know my whole family will adore this too! I may sub sweet potato (just because I’m odd that way) but cannot way to try your gorgeous soup! Thank you for the inspiration. I can’t get an idea in my head of what sweet potatoes and pickles would taste like. Guess I’ll to try it out. And I’d love to hear how it goes if you give it a try. I’ve never heard of dill pickle soup. It sounds delicious! I had fried pickles for the first time a couple of years ago and became addicted immediately. I have this feeling that this soup could be another addiction. :) I found you through Miz Helen’s. I think I’ve had fried pickles once, but yeah, it’s pickles so they’re great. This is my kind of soup, I can’t wait to get into the pickle jar and make this awesome soup. Thank you so much for sharing with our 1st Anniversary Party at Full Plate Thursday. Have a great week end and come back soon! 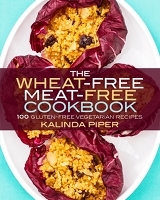 Hi Kalinda, Thanks for stopping by and sharing this recipe with us at WFW. Your post was very popular! Have a great weekend. 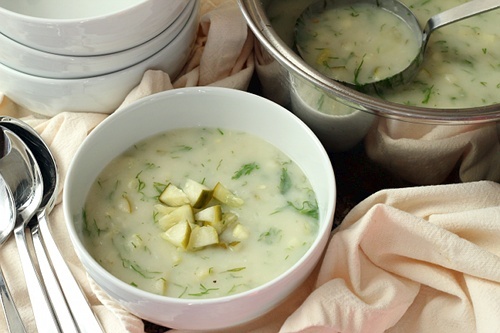 The Fountain sounds like such a cool restaurant, and I just love the idea of this Dill Pickle Soup! Dill Pickles are not easily available in England, so I really look forward to them when I visit Canada and the US. Thank you for sharing this unique and delicious sounding recipe with the Hearth and Soul Hop! I have been all over pickles lately and this looks like a wonderfully creamy soup with the vinegary tang from the pickles.. Looks wonderful!! Yes, the creaminess and the tanginess together are great. What a fascinating soup! I bet this is so refreshing and delicious. Thanks for sharing this recipe with the Hearth and Soul Hop. I have never had dill pickle soup, but your photos and the fact that it contains potatoes makes me sure I would enjoy it. I live close to Hamtramck, and Dill Pickle Soup is a delicacy at many of the restaurants there. This recipe lives up to that quite well (although I did add a dollop of sour cream when I served it). Thank you for this easy recipe!! Thank you! I’ll have to try the sour cream the next time I make it. How have I never heard of this soup or the restaurant?!? I have lived in St Louis all my life and LOVE pickles! Going to have to plan a date night! It’s always nice finding new restaurants, isn’t it? 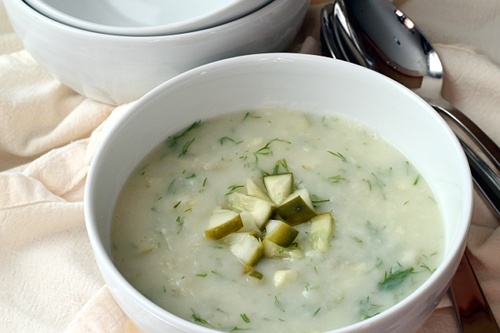 You pinned my pin for Dill Pickle Soup, which is amazing!!! Ironically, I didn’t know it existed either until I went to The Fountain on Locust. I love this soup! Just wanted to share the experience with you. Happy pinning!!! That’s pretty funny. I guess it’s good someone is spreading dill pickle soup to St. Louis. This sounds very interesting! I have pinned this. I am building a community of vegans and would love for you to hop over and leave a recipe. Do you have any specific recommendations for pickles for this soup? There are so many to choose from! I would guess I used Claussen. But I really don’t think it matters much, any dill pickle you like will work.